Hi everyone! Happy Valentines Day!! Technically, this is not considered a haul since I only bought one set, but I just wanted to share my first experience with Makeupholics because this shop deserves a review too! Yes! 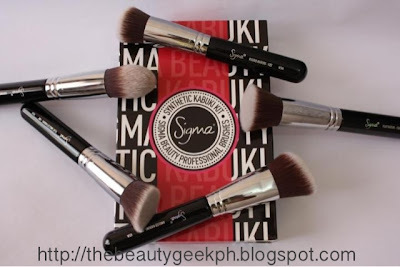 I finally bought my first ever Sigma Brush Set! I was almost about to settle with a dupe that costs less but with the great offer this store and Multiply offered, I added it in my cart in a heartbeat. Nah just kidding! I had to compute first (Yes! I am miss frugal). But my computations convinced me to buy this set because it was even cheaper compared to buying it on the site of Sigma. Curious on how much money I spent? 2,929 PESOS ONLY!!! Great bargain!! That's around $69.00 only. Shipping fee is already included in the quotation. 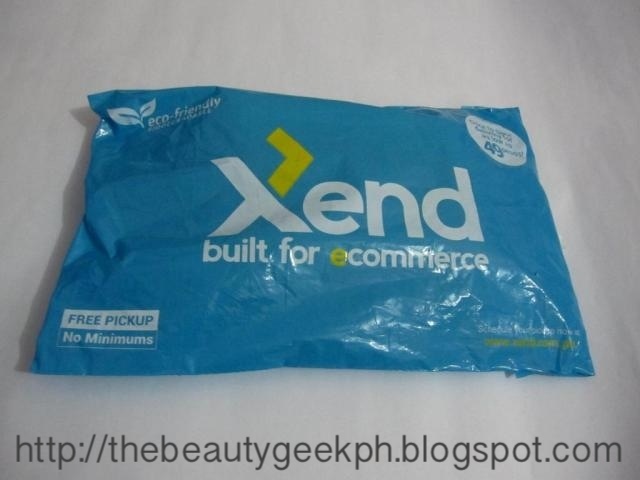 Originally, this costs P3600 at Makeupholics and $76.00 at Sigma. Since I live here in the Philippines, it is costly to buy directly at Sigma because of the shipping fee. You really have to find a good and trusted affiliate or have your Sigma brushes delivered to friends/relatives who reside in U.S. and wait for them to come home and hand it to you. Multiply's TWENTY-OFF code is amazing! I got the package earlier than expected! I placed my order during Thursday, paid for it on Friday and got it in the mail on Tuesday morning. Orders arrive after 3 'working' days upon payment has been settled. I got mine a day and a half after! It packed safely with bubble wrap so you don't have to worry about bent ferules and the like. They even gave a free brush (not in picture) which I didn't know about. This set was a good deal per se, I didn't expect it could offer much more. Thank you Makeupholics for this wonderful offer! Makeupholics also sell brands from Urban Decay, Revlon, Milani, MeMeMe, BarryM, Beauty UK, Models Own, Maybelline, Wet n' Wild, Sephora and Pop Beauty. Make sure to check the site often because they have their own sales which can be combined with the codes Multiply offer. Yes! You get a double wammy bargain with that! This set includes the following brushes from top to bottom - F80: Flat Kabuki, F82: Round Kabuki, F84: Angled Kabuki, F86 - Tapered Kabuki and F88 - Flat Angled Kabuki. OVERALL: I am really happy for the service Makeupholics gave. It was really impressive, coming from an online shop who has a lot of customers to begin with. It was also really easy placing an order and using the codes. I give Multiply a big thumbs up on that one too. 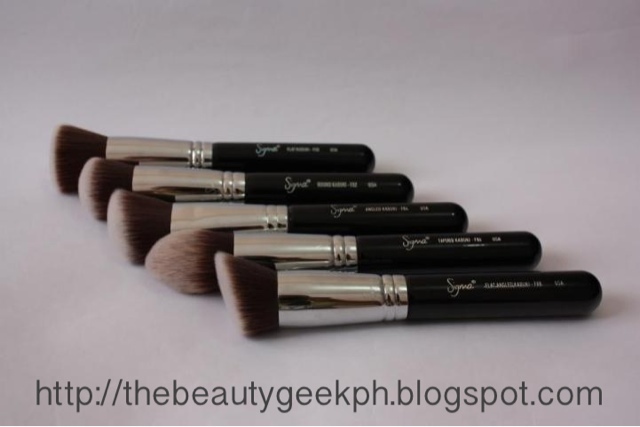 I will surely buy my next set of Sigma brushes to this shop again! Mr. Bunny/ Make me Classy, you are on my list! But for now, I have to rest my wallet for the damage first! I've been holding back for the longest time already with my lemming on these brushes. I am really happy I have one now. :) Thanks for dropping by my blog! Yes, shes a very good seller and easy to deal with.i wish most of the sellers will be like her. Hey I know it's late but can I ask what are the contents of the order confirmation email in makeupholics?